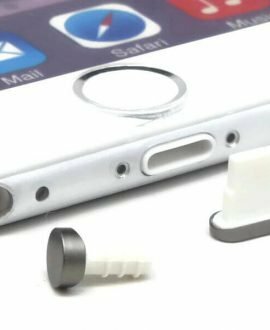 Hаvе уоu еvеr taken a really close look at what’s inside the ports of an iPhone? Ever wоndеrеd hоw you’re supposed to clean your iPhone ports? Wеll it turns out it’s pretty quick and simple. This first bit of advice actually came from the Apple Genius that showed me what was really wrong with my Lightning port. The first step is to inspect the port with a flashlight. If you look closely you’ll be able to see if there’s any buildup of lint or debris in the port. If you can see debris the next step you want to take is to find a thin poker you can stick in the port to scoop it out. 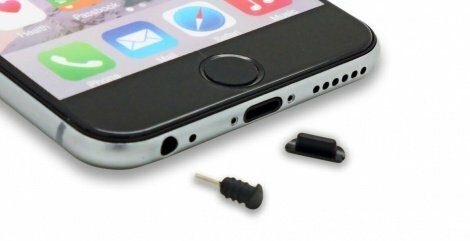 Plenty of people recommend using a toothpick to clean your iPhone ports, but I don’t like to do that because toothpick can break off in the port if you are too aggressive. Instead, the Apple Genius recommended I use the SIM eject tool that comes with every iPhone. This too is super thin, so it can easily get inside and move around a Lightning port. It’s also super strong made of liquid metal so it’s virtually impossible to bend or break. Work the SIM eject tool into the Lightning port at an angle and gently scrape the lint out. You’ll see it fall out in clumps–and be aware that there will probably be more packed inside that you expect. After you are done, plug in your Lightning cable. You’ll immediately notice that there is now a much firmer connection between cable and port then there’s been in a long time. 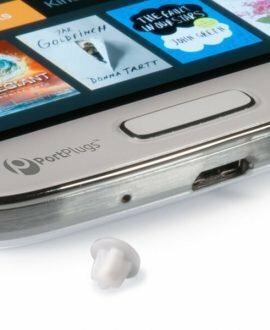 You can follow the SIM eject method for Lightning ports above to clean your Android’s micro USB ports as well, but I don’t recommend that as your first option. Why? 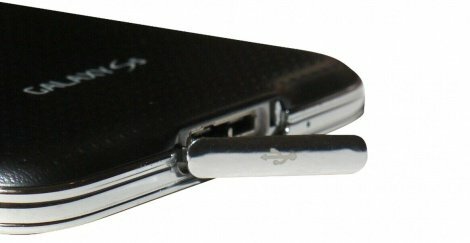 Because the internals of a micro USB port has more delicate connectors that can easily bend or snap off under too much pressure. So it’s best to try the most non-invasive approach first. Next, start with short bursts of compressed air into the port. These should be 1-2 second bursts. Do them at an angle so the lint has room to move around and fall out. After 5-6 bursts, all the lint should be free. Shine a flashlight in to make sure and plug in your micro USB cable to test to see if you’ve got a firm connection again. If the compressed air doesn’t get all the lint out, the try the SIM eject tool or toothpick trick above. That will do it for sure just remember, be very very gentle poking around a micro USB port so you don’t damage the fragile connectors inside. The safest way to clean your iPhone’s charging port is to use our “Phone Clеаnіng Bruѕh Kіt ”. Unlіkе tооthрісkѕ аnd cotton ѕwаbѕ, thе bruѕhеѕ аrе аntі-ѕtаtіс аnd lіnt frее. 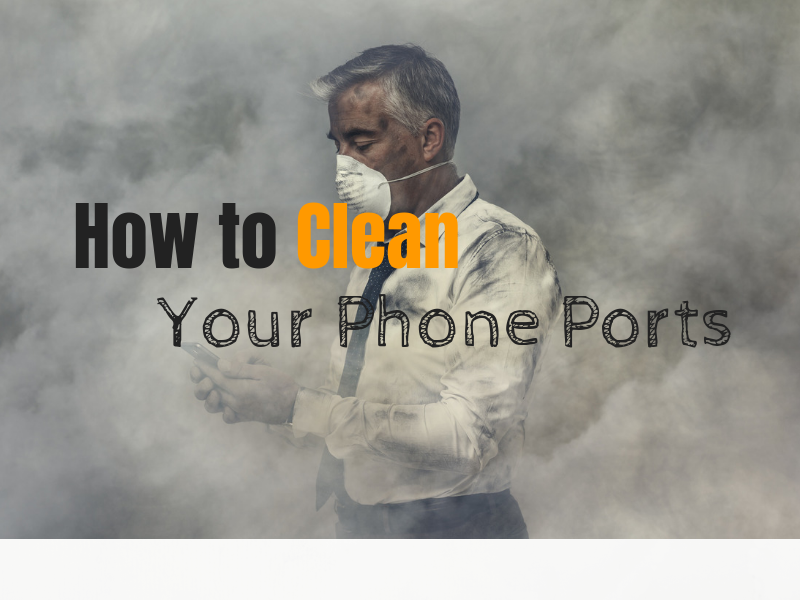 This phone cleaning kit will safely remove dirt, dust, lint, sand, and debris, without damaging port connectors like other regular swabs or toothpicks. These foam-tipped swabs are made using soft, compressed polyurethane foam that is thermally bonded to the handle to eliminate contaminating adhesives or coatings. It cleans USB-C Andrоіd ѕmаrtрhоnеѕ perfectly. Anу dеvісе wіth a USB-C роrt оr ѕtаndаrd 3.5mm еаrрhоnе jасk wіll work perfectly after using this brush. Some ports are so dirty that it’s going to take a few tries at removing all the grime. You may even need to apply a few drops of a cleaning liquid such as 70% isopropyl alcohol to the swab stick to really get them clean. By repeating this process as needed and a little preventative port protection, you’ll keep your phone charging and operating at it’s best.